The constant attacks on president Trump from the left are growing old and stale and that is why they are getting more vicious and more hysterical with each day. Yes, what Sarah Silverman said last night about Trump was a new low, but expect another new bottom to be reached soon by this lot. Such is their blind hatred of Trump and his supporters they shout not listen and thus will keep losing national elections. 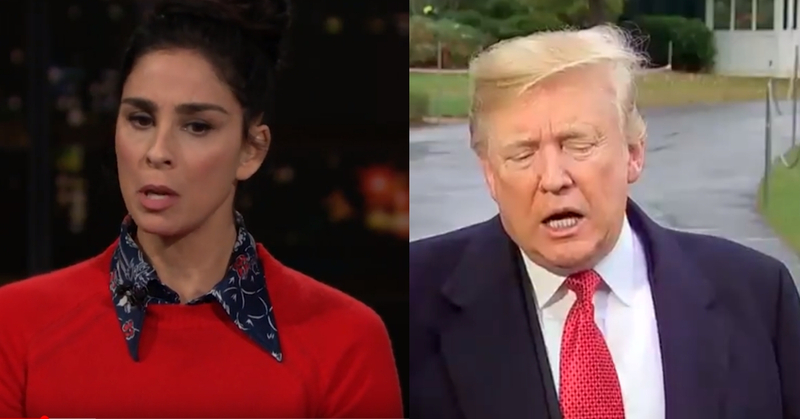 From The Hill: Comedian Sarah Silverman on Friday said she is “very lucky” she doesn’t have to sew a Jewish star to her clothes under the Trump administration. Award-winning actress and outspoken conservative Patricia Heaton slammed a tweet by the progressive Women’s March on Wednesday that shamed white women for purportedly thwarting their chances of a blue wave in the midterm elections. The comments were in response to a derogatory tweet by Above the Law editor Elie Mystal, complaining about white women voting for Republicans Brian Kemp, Ted Cruz and Ron DeSantis during the election Tuesday.